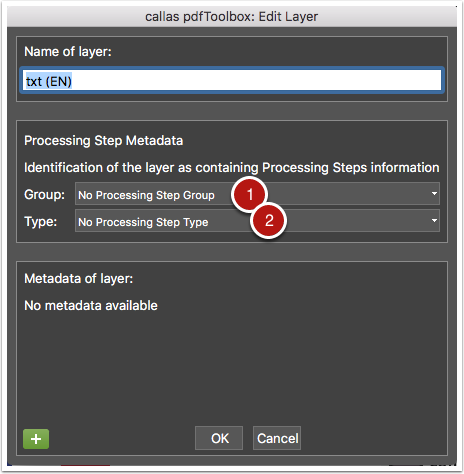 Layers can have regular metadata and processing steps metadata attached to them. Click the layer you want to see the metadata of. Click the "edit" button to "Edit layer" dialog window. The processing steps group associated with this layer, or "No Processing Steps Group" if no information is available for this layer. The processing steps type associated with this layer, or "No Processing Steps Type" if no information is available for this layer. You can change the processing steps group or type by using the pull down menus in the middle section of the "Edit layer" dialog window. 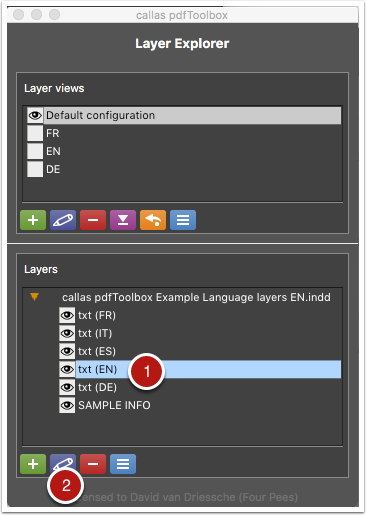 Processing steps information can be removed by using the pull down menus in the middle section of the "Edit layer" dialog window. Simply select the top value in both menus ("No Processing Steps Group / Type").